On Friday, January 20, 2017 co-Founder Kelsey Goldberg gave an abridged version of this speech. We're posting the full version here. Today we woke up to a new world, in many ways it’s an uncertain world but the election and the transition process have given us insight into what we can expect and I’m not going to lie: it’s not great guys. I had fully expected to wake up feeling devastated, terrified, and angry, as I’d been feeling when I woke up almost every morning since November 9th, but I didn’t. I felt galvanized. See, when I had initially set out to write this speech I wasn’t sure where to start, November 9th seemed like the logical place to start. The fact is in too many ways when it comes to the most important aspects of our lives we are provided with false choices. A choice between Republicans or Democrats is not a choice when the country can’t opt out of both of them. This concept of bringing “choice over healthcare back to the people” is not a real choice because if your child is sick you can’t just say “well all of the options are bad, so let’s not get care.” The lie that there are choices that our country's African Americans can make that can opt them out of a system of police brutality or even the prison industrial system, is exactly that- a lie. Immigration is often callously reduced to a choice as if instead of moving here immigrants could have just vacationed in the Bahamas for a week. Being LGBTQ is not a lifestyle choice that can be electrocuted away. They talk as if it is a choice to work at a job that does not pay you living wages. The DSA woke me up to the idea that we should have a choice in these areas of our lives. Being part of an organization that is actually structured in a democratic way was eye-opening. I get to vote on who we endorse, I was given a choice of what sub-committees to join: Socialism and racial justice, socialist feminism, politics, agit-prop, none, all? Which is why I didn’t feel upset or angry today. I woke up knowing I was going to spend my day surrounded by people who don’t see resistance as a choice but a necessity. It is. Now more than ever we need to stand in solidarity with and when necessary stand up for the most vulnerable members of our society. This is not a choice but an obligation. But choice will come into it. We are facing a very long four years. There will be issue after issue after issue. We need to choose to stay involved. We need to choose not to get demonstration fatigue. We need to choose to stay angry, or active, or inspired or whatever you need to feel to keep you in these streets fighting, because when we don’t- that’s when tyranny becomes normalized. We also have the opportunity now to demand a better world than has ever been offered to us. All of us here today were brought here by various causes or rallying cries but by banding together we can change the narrative. We can demand radical democracy. Not only do we reject the baseless notion that the working class should fear the immigrant who will do this job for less pay but we demand to know why we shouldn’t be mad at the boss who is willing to underpay their workers in the name of profit? Or why we shouldn’t rail against a society that will replace us with robots without a giving us a social safety net before they’ll entertain the idea of a $15 minimum wage? When the media turns it’s back on America’s First we shine our cameras on them and we do not shut up about Trump’s financial ties to the Dakota Access Pipeline until the pipeline is stopped for good. We double down and we demand that all treaties made with America's First be respected! When environmental regulations start to erode we are incessant in reminding everyone that if current environmental regulations didn’t protect the Sioux at Standing Rock or the people of Flint from environmental terrorism then not only should they not be paired back but they should expanded. When pundits politely ask each other “why should I have to pay more taxes so that someone I don’t know can have healthcare?” We scream that poverty should not be punishable by death! When they come for DACA we demand to know how paying your taxes but being born somewhere else makes you ineligible to live here but being born here and evading taxes makes you eligible to be commander in chief of this nation. When they come after Planned Parenthood, and gay rights, and freedom of religion we will be there: a thousand, then a hundred thousand, than millions of thorns in their side until they are reminded who it is their job to care about. If any politicians out there are listening here’s a hint: It’s not your corporate donors. The DSA was a place that made concrete some ideas that I had been grappling with for a while, but especially during this election. I have always worked hard, and I was fortunate to receive an excellent education that was paid for by my parents before I was old enough to have earned it. That’s why I never understood how politicians could stand there and sell this myth that a good education and hard work will fix class issues and racial tensions when they aren't also fighting to remove the road blocks to that education and ensure that we have a system where all hard work is rewarded justly. The economics of oppression have become abundantly clear to me. This election cycle I witnessed a lot of what I had nicknamed trickle-down feminism. This is not something I think is unique to feminism nor is it meant to undervalue the importance of representation for any under-represented group. It is important, but on it’s own it’s not enough. I don’t think the daily life of the cleaning lady is bettered if the women in the boardroom start leaning in. We need to expect that those representing us at the top are fighting for what will benefit those at the bottom first, and that starts by helping us build a world where we represent our own damn selves. Where our tax dollars are put to use to provide us with health care, childcare, education, shelter, transportation, and a universal basic income, instead of going to another bloated weapons contract. We will have a say in how our neighbourhoods are organized, how our workplaces are organized, how our democracy is organized because we the people were promised life, liberty, and the pursuit of happiness, and we will become independent of any system that denies us those unalienable rights. It's my first official blog post writing from the perspective of an entrepreneur and I had desperately wanted to avoid the trite format of a lisitcle. I'm a firm believer that the story should always dictate the form not the other way around, and after many re-writes it's apparent that my mind wants to present these thoughts in list form. Arrogance is often seen as a bad quality and un-checked it is. However there is a certain amount of arrogance inherent in any ambitious pursuit. I want to get paid to tell stories, there are lots of people who want to get paid to do that and not all of us will, so I would like it to be me and not those other people. We rarely think of our artistic dreams that way, but that "me over them" mentality is true of any competitive industry. A movie has only one lead, so not everyone can be the lead. Often times hearing fellow actors bemoan not getting a part, or when I didn't get the part we often say things like "I'm talented, I work hard, I deserve it." We're not wrong but the thing that is more difficult to face is that at a certain level you are only competing against other people who are talented, work hard, and deserve it. So much of our self-esteem as artists hinges on those three qualities and they essentially get cancelled out. So what does me being arrogant have to do with starting my own media company? You know when you really deserve the part you want? When you wrote the story, are the producer, and own the distribution platform. Like I said, I'm a little arrogant, I like being the person with the ace up her sleeve. If I were to summarize all the useful advice I've gotten from acting coaches over the years it would sound something like this: "Do great work, keep training, and be patient once you've made your mark casting directors will put calls out for 'a Kelsey Goldberg type.' " Summary of my best writing advice: "Write every day, write new things, and be patient." Summary of best advice for me as a comedian "Perform as often as you can, hone your craft, and be patient.' Here's the thing- I'm not patient. I think it ties in with that arrogance, or maybe it's because I was shaped to much by instant gratifications consumer habits, but I like things to move fast. So all the advice about being patient... no thank you. Furthermore, with so much UGC (user generated content) I don't see the need to be. Yes you want to make sure the work you are producing is at a quality that you can be proud of. But completing a project and putting your work out into the world do be scrutinized is an accomplishment. And in a world where creators allow so much insight into their daily lives whether it be through vlogging, Twitter, Snapchat, Instagram, etc. Putting work out there and allowing people to see me grow as an artist is a great experience. More over, I get to put work out there. Even when it doesn't pay that is creatively satisfying and what is the point of being an "artist" if your going to prostrate yourself in front of casting directors in hopes of being cast in something that yes, pays, but doesn't feed your artistic soul? You need a both to survive. It's not that I think I know how to do it better, I know that often times I don't. It's that if I don't understand the decisions being made I get frustrated and pretty anxious. Well, I don't know what producers are thinking in terms of buying a scrip or hiring, I don't know what casting directors are looking for, when I book something my job is to bring the words to life- not have opinions on them, and I don't get a say in how the project is marketed, Even when you book something, even when you give a dynamite performance, you have no control over the success of the project. I am way to controlling for that. So when the opportunity to run a media company presented itself I knew that I needed to jump at it. 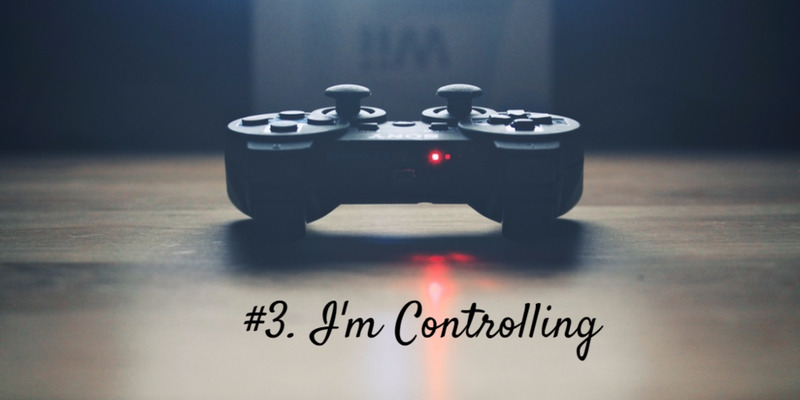 Sure there are still things out of my control but I'm part of the conversation of how we solve them. Not enough traffic to the site? Let's look at the analytics, what can we do? I have a feeling of actively participating in the success of my company and my career every single day. While I've always lived by the mantra "do something every day in service to being a better artist," and I still do that, this is the first time I feel like I'm doing something every day that is in service to being a successful artist. That is an immensely freeing feeling and the quality of my work has improved by being this empowered. I'm not even that poor, in fact I am incredibly fortunate in many ways, but my savings is meager and it's growth is plodding. Monetizing your work is incredibly difficult. Sure you can (and should) monetize your videos on Youtube but the ROI (return on investment) is very small. Working full time at a job for money and full time on your career is exhausting. It was always exhausting but as I get closer and closer to my 30th birthday my ability to thrive on no sleep is steadily decreasing. I want my only job to be creating content and needed to figure out how to do that without needing to become a sugar baby or create content that is purely pandering for views and sponsors. By owning a distribution platform AK47 is part production house, part publisher. Which means we can approach brands and marketers as a publisher. We have a multitude of options for advertisers which could generate profit. This is great because it means eventually we can pay ourselves. And while there is a certain amount of patience (ugh!) required in growing our audience to the point where we are useful to advertisers, knowing that there is profitability at the end of the tunnel is extremely motivating. As well it means we don't really need to think about profitability in terms of our non-branded scripted content. Those shows don't need to be profitable (though it's certainly better if they are). If people watch them it boosts our audience which boosts the value of the branded content. By separating them we are able to be more discerning in our creative choices which is ultimately to the benefit of both wings of our company. "Use every tool in your arsenal." That's good advice for any career, and the arts is no exception. We see it all the time with actors, leaning in to the skills that set them apart. Great martial arts background? That's featured on your resume. Really, really, ridiculously good looking? That's shown on your headshot. Really smart? That's... It's unfair to say that's not an advantage- of course it. Your work will be of a higher quality if there's an intelligence to your acting choices. It's not as marketable as other skills though. Ultimately you don't need to be smart to play a smart character. When I first got out of theatre school I wasn't really happy with the types of roles I was getting, and I was even less thrilled with their infrequency. Desperately looking for an outlet I got some really good advice- "your smart, you've always been a good writer, start writing something for you to be in." So I did, and it turns out I was good at writing. But like with acting it still required a lot of hoping someone else would choose me. I can't plan a future on hoping someone else will think I'm worthy, at least not while staying sane. So when the opportunity to start the publishing arm of our company presented itself Allison and I knew not only should we do it, but that we could it it, because we are smart, and hard working and deserve success we are creating an environment where every action we take is directly working towards our own success. Whether it takes six months or three years (please let it be the six months option) we spend every day taking steps that directly contributes to our future success as artists and business women. I won't speak for Allison, but for me my career has felt like I might be on a hamster wheel. Running as hard as I could without ever knowing if I was going somewhere. For the first time in my career I feel like I'm running on the ground and you can't put a price on that feeling. That's right there was a tie- so 4 lucky people get to see the trailer early! If you are one of the winners please comment with your email address, or DM us on twitter @AK47presents and we'll send you the link! Thank you again! Help Us Get To 100 Subscribers- There's A Prize! Some exciting news AK47 Fans (I want to start referring to you as Annie Oakley's- since she's a gun slinger, and we have a gun-pun name, but not sure if it's too much? Thoughts?)! We have finished the trailer for Over Easy. I know, we are elated, many shots, happy dances, and general not-so-humble bragging has followed this accomplishment. However, some festival deadlines require us to keep it private for just a wee bit longer. Which had us thinking. Our Youtube channel is currently: https://www.youtube.com/channel/UCLcMJowgbdozwahWpxkVPPA Which doesn't fit on either of our business cards. Youtube requires us to have 100 subscribers in order to get a custom url. So here's our little brain baby. You help us get to 100 subscribers and we send you the link and the password to our trailer. 1.) Tweet, FB, Instagram, whatever you need to do the link to our Youtube channel asking people to subscribe, and if you haven't already, subscribe yourself! 2.) Have your friends comment "Subscribed because of ___[your name]____" in the comments section of this blog post. 3.) Once we've gotten over 100 subscribers the top 3 people tagged in the comments section will get sent the link. Thank you for taking the time to explore our website. We are thrilled to be launching this new venture. As mentioned in our mission statement we are dedicated to exploring the new avenues of story telling through advancements in technology? So what does that mean? Throughout the history of film making new technology has encouraged, or in some cases forced, new approaches to storytelling. Whether it was going from a strictly visual medium to incorporating sound, or film having to adapt to the popularity of television, we are once again in a period of transition. Not only has the move from film to digital meant that more people’s voices can be heard, we now find ourselves exposed to new formats. We are starting with Youtube, a platform that relies on short and concise storytelling. Our first project, “Over Easy,” is formatted as a traditional Webseries and is currently in pre-production. Other projects in development include an interactive series, and stories that experiment with how social media platforms, such as Snapchat and Instagram, can be used as a way to deliver a narrative. We are also in talks with other content creators and are excited by the possibilities of helping to develop and host their projects. If you are interested in reaching out to us about a possible collaboration please do not hesitate to contact us. Viewer feedback and audience engagement is incredibly important to us. The old adage of the tree falling in the woods applies here. As such we will keep you updated on all of our progress, so continue to check back in.